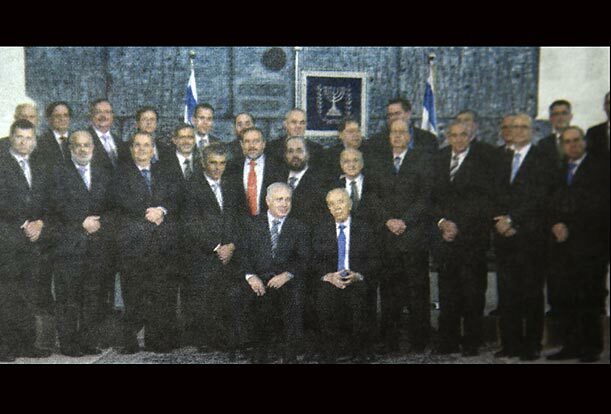 While everyone is talking about the altered photo with Hillary Clinton in the Haredi newspaper Der Zeitung, there have been other examples of these ultra-Orthodox newspapers editing photographs to suit their purpose. TIME Magazine reported on a poorly doctored photo of Prime Minister Benjamin Netanyahu's cabinet from 2009 in the Israeli newspaper Yated Neeman. 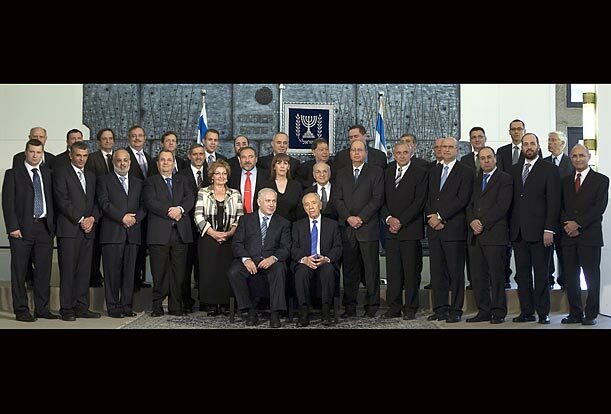 In the photo, two female Cabinet members, Limor Livnat and Sofa Landver, are replaced with men's faces. The faces belong to ministers Ariel Atias and Moshe Kachlon, who in the original photograph can be seen toward the periphery of the group (standing, second from left and second from right). As TIME explains, "In Yated Neeman's version of the image, they have been cropped out. Much of the newspaper's readership consists of ultra-Orthodox readers who do not think it proper for women to serve in the government." What I find most disturbing is the replacing of photos of women's faces with men's faces. Do the editors (and their readers) find lying less sinful than showing photos of women in government? Couldn't they show the photos and reiterate their ideological position? It's as if what they choose to do is live in a false universe rather than dealing with the actual world. This kind of frightens me. That's exactly it. If depicting women is such a problem, choose not to run the photo. If religious restrictions restrict the reporting of news, so be it. But don't alter reality as a workaround. Nothing new here, the soviets regularly doctored photos in this manner. When when knows the history of communism, they know why Orthodox Jews and secular Israelis appear the same as communist Bolshevist.